I love all things that wrap; dresses, skirts, cardigans and tops! I’ve been looking for a good wrap top pattern for a while, with no luck. While Butterick 6825 was an easy sew, it was too cropped. I purchased Vogue 9315 with hopes it would be the one (as I loved View C), but before early reviews said it too was a cropped length so I returned it. I also own Simplicity 5555 and McCalls 6961, but I’ve yet to sew either one. Then a few months ago Mimi G shared her version of New Look 6560 out of a white linen. She declared it a TNT pattern which was enough for me give it a try. I picked up this olive green stretch chino from Joann at the start of fall while all the spring fabrics were on sale. It’s still online and is also available in white, black, tan and tawny orange. The chino is has a slight stretch (97% cotton/3% lycra) and a slightly stiff hand. It would be great for anything with a structured silhouette. I was concerned that it may be too stiff for this shirt, but I decided it was similar to heavier blouse weight and went with it. In the end I think it worked well. So much so that I went back to Joann to pick up the white chino to make another one. I cut and sewed a 14, but I overestimated the stretch. Next time I will sew a 16 or better yet lose a few pounds. I really hate that this project sat, cut out and ready to go, in my queue for months because I feel fall is here for good and I won’t have a chance to wear it. Thankfully, it came together quickly and aside of it being tight I love it. My only complaint about this pattern is the terrible instructions. I felt certain steps were missing (for view C at least), the illustrations were lacking. For view C specifically they refer you back to two steps from view A&B on attaching the facing, but they are not the right steps. They also fail to mention the button closure for view C. I only glanced at the instruction initially because I hadn’t sewn in a while and just wanted to be sure. The good news is this top is fairly straight forward so the instructions aren’t truly need. Pattern Description: These on-trend ruffle tie-waist shirts for Misses feature a real wrap design with sleeve variations. Can be made with or without a ruffle neckline, and pattern pieces are included to create the tie belt. Were the instructions easy to follow? No, they were poorly written. Thankfully it’s a straight forward sew. Conclusion: My favorite wrap top! I love this top on You!!! The top looks great on you. I like your fabric selection too. Thank you. The fabric is great! I would not have known it was tight if you hadn’t mentioned it. This top looks great on you! Thank you. I feel like it pulls around the bust, but the good thing about a wrap is you can adjust the fit (to a certain degree). Great review. Thank you. It looks great on you. I’ve been wondering about this pattern. 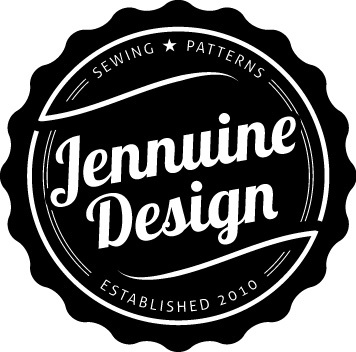 Now I know to get started…and I’ll be looking for that fabric store JoAnn! Yes. It’s a straightforward make and turns out so nicely! You’ll love it. I really like you new wrap top especially the color. i AM SOLD! You look fabulous! I do have an idea on how to make it a little bigger. You will need some of the original fabric. I have done this to a button up shirt with set in sleeves. I cut or unpicked the side seam. It only picks out easily if you sew side seam like me, from bottom edge to sleeve edge. If not, just cut it out on seam. Then based on how much you need to make it comfortable, say 4 inches total + seam allowances. So each side = 2” + 1” seam allowance (i use 1/2 inch seam allowances for easy math) = 3” wide strip straight of grain or bias. Make sure to cut long enough to allow for hemming on both ends. This works for kids shirts too!